When Dutch Henry Winery opened its doors in 1992, the Chafen’s dream was to quietly earn a reputation for quality, passion in winemaking and an easy going approach to sharing their story with visitors to the winery. The dream has blossomed, and each of the Chafens has participated in the evolution of a modest winemaking operation into a producer of ultra premium Napa Valley Wines. 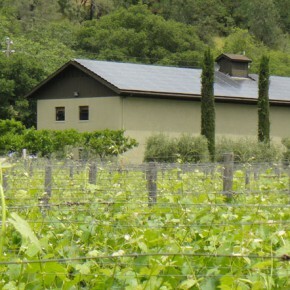 In 1999 Dutch Henry Winery was named one of the “top five” wineries to visit while in Napa by the Wall Street Journal. Dutch Henry Winery specializes in small lots of Handcrafted wines producing up to 2,500 cases annually. Bordeaux varietals dominate and Cabernet Sauvignon was sourced recently from both the family’s hillside Vineyard just south of the winery and the St. Helena Vineyard off of Zinfandel Lane. Recently, both were replaced by a newer state of the art vineyard organically farmed in Rutherford. Dutch Henry wines are carefully crafted by owner-winemaker Scott Chafen. Other varietals produced include an estate Syrah, Pinot Noir, Zinfandel, Petite Sirah, Sauvignon Blanc, Argos (Bordeaux Blend) and a dry Rose. The Chafen’s family roots in Napa Valley were firmly planted in 1986, when Less and Maggie purchased their first vineyard in Calistoga. They eventually migrated to St. Helena, where they established Chafen Family Vineyards along the southwest facing slope of Howell Mountain. There the Chafens planted 22 hillside acres to five clones of Cabernet Sauvignon. To establish a true sense of place for their wines, the Chafens selected the name Dutch Henry for their winery. Nearby Dutch Henry Canyon was named after a prospector turned farmer whose local produce was sold to stagecoach passengers and others who arrived in Napa Valley to enjoy the fresh country air and natural surroundings. Still always the gentleman, It is rumored that Dutch supplemented his produce sales as a Highwayman on the historic Silverado Trail. At the outset, Scott Chafen undertook the winemaking responsibilities at Dutch Henry Winery and continues to oversee the winery’s daily operations.